The U.S. government's underfunding of Medicare Advantage (MA) in Puerto Rico is contributing to a health care crisis in the wake of Hurricanes Irma and Maria. 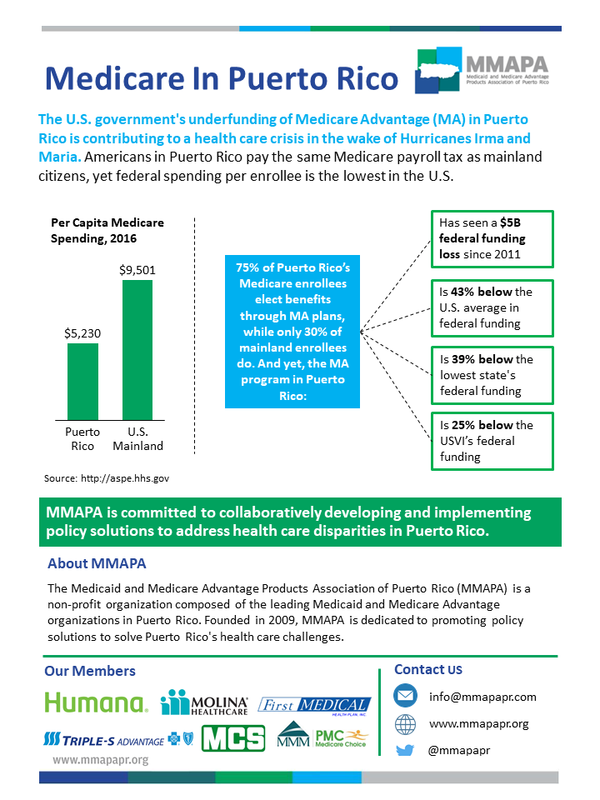 Americans in Puerto Rico pay the same Medicare payroll tax as mainland citizens, yet federal spending per enrollee is the lowest in the U.S. The Medicaid funding and federal matching rate that Congress provided for Puerto Rico in 2018 is set to expire in the Fall of 2019. Congress must start working now to find a long-term, bipartisan solution to address issue—better known as the "Medicaid Cliff." 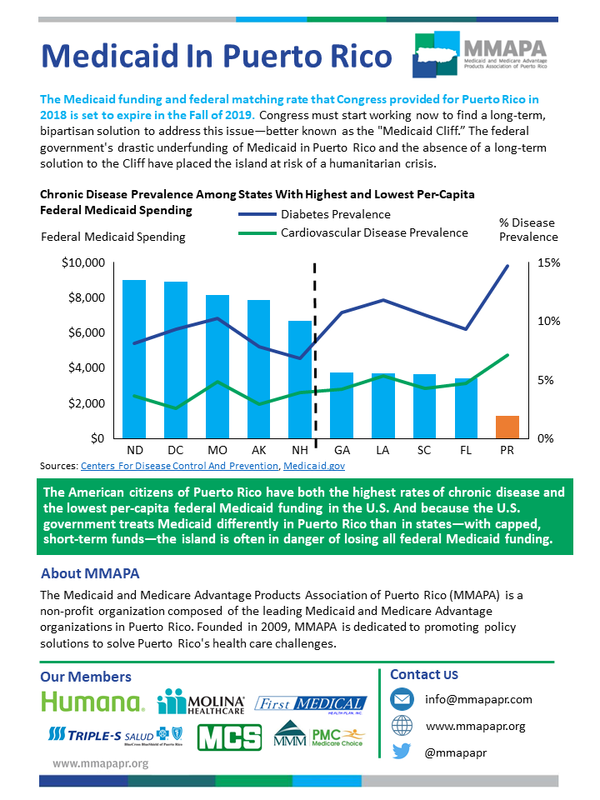 The federal government's drastic underfunding of Medicaid in Puerto Rico and the absence of a long-term solution to the Cliff have placed the island at risk of a humanitarian crisis. 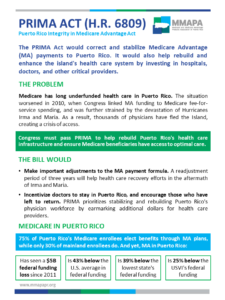 The Puerto Rico Integrity in Medicare Advantage (PRIMA) Act would correct and stabilize Medicare Advantage (MA) payments to Puerto Rico. It would also help rebuild and enhance the island's health care system by investing in hospitals, doctors, and other critical providers. 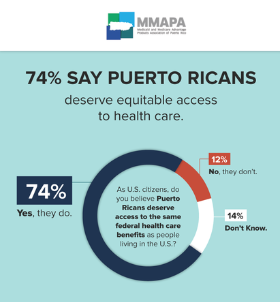 Do people believe Puerto Ricans deserve access to the same federal health care benefits as people living in the United States? Our polling indicates 74% do.